Our work in Vanuatu began in 1987, with the vision of our founders to evangelise and minister in churches across the islands, and to establish a community development base in the remote north of Tanna Island. Today, our work primarily involves education, relief and rebuilding in times of disaster, ongoing community assistance projects, and major public Christian events. All is done in Jesus’ name and in partnership with local churches and other community groups, with our eyes set on a brighter future for the people of Vanuatu! 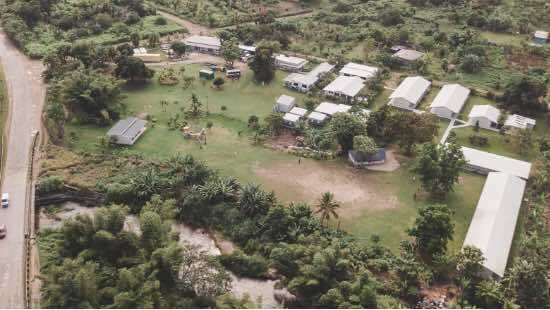 LifeChanger Christian College, our largest school in Vanuatu, is located on the main island of Efate, at the edge of Port Vila in the Prima area. 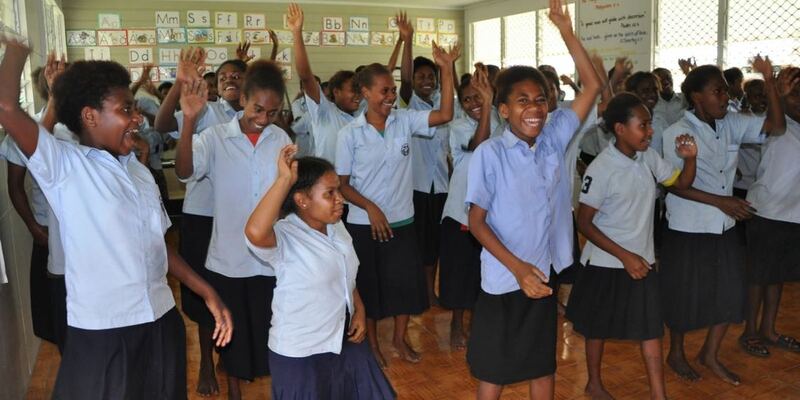 The school is staffed by twenty-two Ni-Vanuatu men and women who work full-time in the classrooms, offices, nutrition centre, clinic, and grounds. The more than 300 students ranging from Preschool to Year 12 learn in a happy and safe education environment, where a culture of Christian values and experience prepare them with confidence, knowledge and skills for life. Set in the midst of poor village communities, the school provides daily meals for students who would otherwise have little or nothing to eat until their evening meal. The nutritious meals have improved students’ general health and ability to concentrate and learn through the day. Our graduates have a local reputation for being not only great and capable people, but excellent learners, which is one of the best life-long skills we could hope to impart! Liberty People funds the school’s staff, equipment and supplies, property developments and many ongoing costs, while the families and regular local fundraisers contribute towards its running costs. 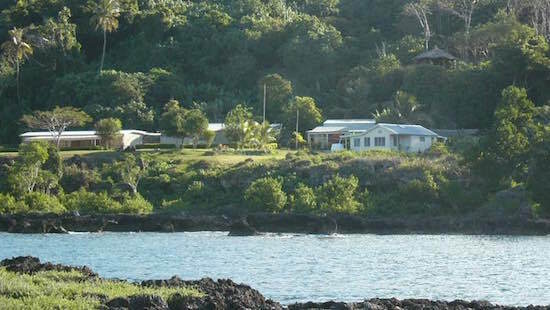 In the south-west of Tanna Island is Kumahau Community Christian School, a community-run school. Kumahau is an exemplary, cohesive community which actively participates in the education of its children. Until very recently, access to the school was difficult, especially in the rainy season. Now, a new road runs close to the school and visitors are more easily able to assist and partner with the school and its community. We sponsor and supply the school at Kumahau. Liberty People funds the school’s staff, equipment and supplies, while the families and community fundraisers contribute towards its daily running costs. 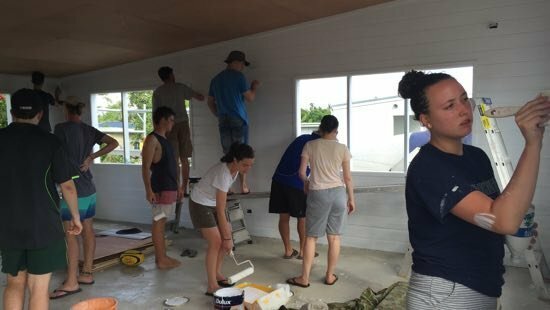 Short term teams from churches and schools across Australia love to visit our Vanuatu schools and Life Changer events, many returning annually. Though these teams go to selflessly serve the people of Vanuatu, they are always deeply blessed themselves! Volunteer teams are essential to the success of our schools and Christian events. 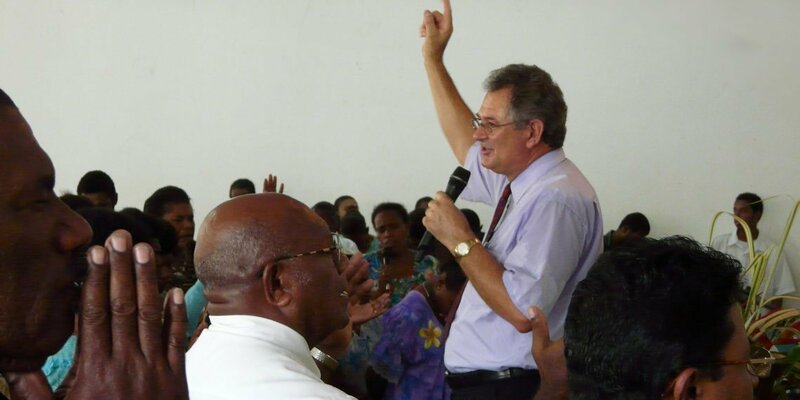 Steve is an esteemed preacher and apostle in many nations, and the churches of Vanuatu have been greatly impacted by his ministry over the last thirty years. We continue to minister in churches across its islands, preaching the good news and inspiring believers in their walk with Jesus. Visiting teams and people who link up with Liberty People in Vanuatu also have many opportunities to minister in local congregations. As a non-denominational ministry, we can move freely between many of the various church groups in Vanuatu to bless and equip them through preaching and teaching, prayer, sharing songs or other creative expression, personal testimonies, friendship and practical help. 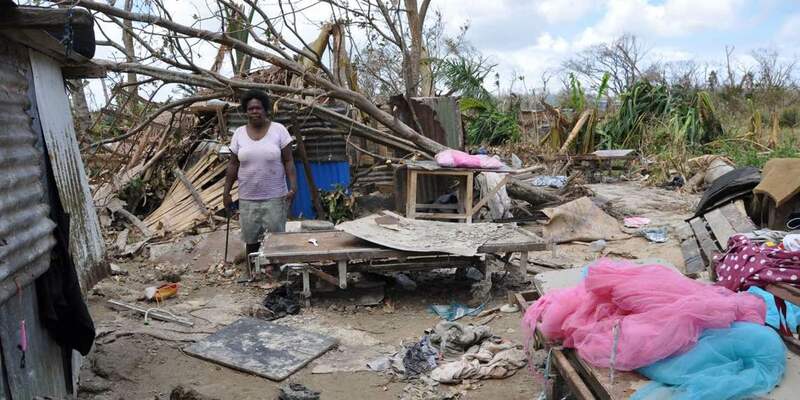 Vanuatu is highly exposed to cyclones, often experiencing several per year with varying ferocity. 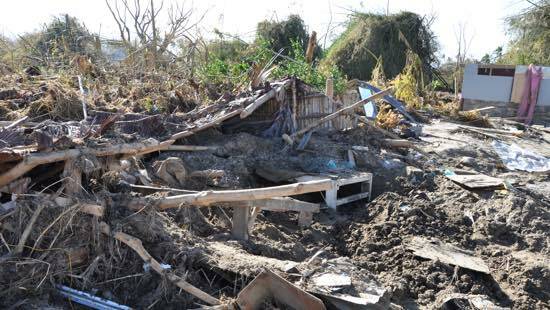 In March 2015, Cyclone PAM hit Vanuatu with devastating force. It’s believed by many meteorologists to have been the strongest recorded storm to ever hit land in the southern hemisphere. Staple crops were destroyed by the winds and flooding, or from rotting in the saturated ground. Approximately 80% of the people of Vanuatu are subsistence farmers or market gardeners, and so families, communities and regions were in desperate need of food. The effects of the cyclone were compounded by a drought that followed very soon after. Many parts of Vanuatu were without fresh water. A well drilling truck and rig was donated to us and shipped from Australia, to enable us to supply fresh water to communities! Vegetable seedlings newly planted after the cyclone died, and the harvesting of staple crops was delayed for several months. During that difficult year, we served over a million meals to people among the most affected. In the 18 months following the cyclone, we sent out 1070 roof packs and built 190 homes for families who had lost everything in the winds and flooding. 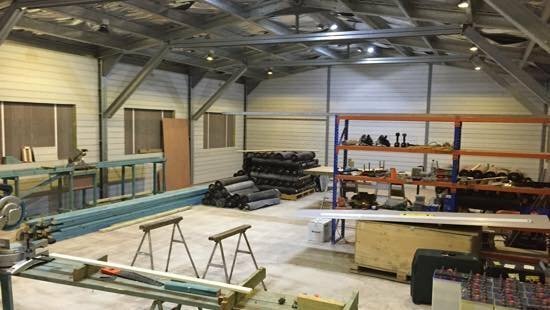 Since Cyclone Pam, our large workshop and vehicle sheds on the LifeChanger Community College property have stayed centres of activity and blessing. Our staff continue working in the Community Assistance workshop preparing small house kits, and then assembling them on the building site in just a day or two! They are sturdy homes, and places of safety for future cyclones. The donated water drill truck is at work through every dry season, digging down to twenty metres depth (giving access to much-needed fresh water), after which hand pumps are installed. Our workshop in Port Vila, where we have prepared materials for hundreds of home rebuilds. The total funding for a home is a mere $2,000 AUD, thanks to the generosity of our Australian industry partners! The complete installation of a well and pump can be funded for only $400 AUD, thanks to the generous donation of our water drilling truck! Our evangelistic events in Port Vila, under the name LifeChanger, have met with overwhelming success. 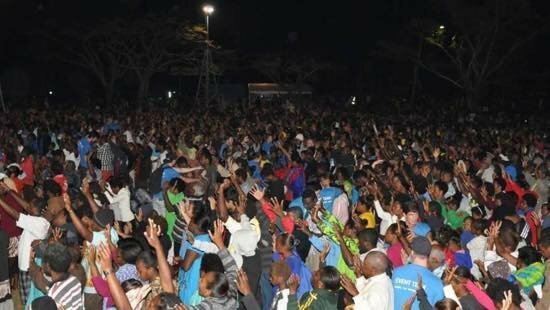 In 2015, our largest event spanned five nights and saw an attendance of 26,000 people, making it the largest Christian event in the history of Vanuatu. 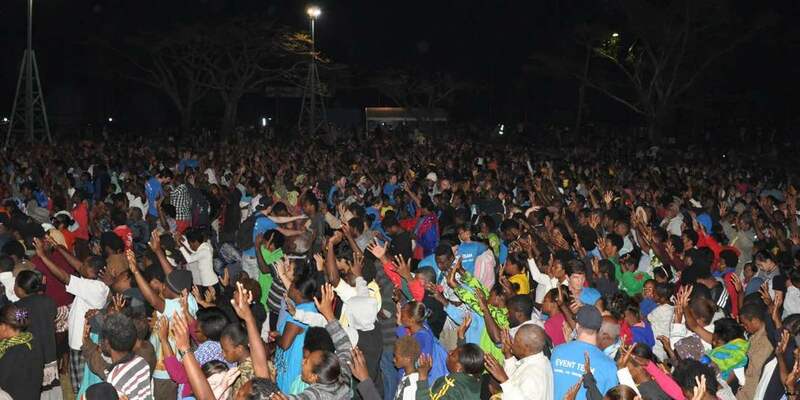 Almost fourteen thousand people responded publicly to the gospel! 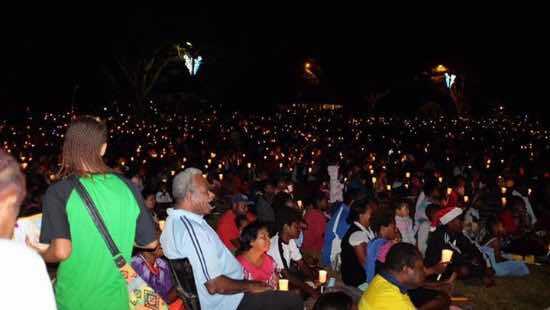 These huge meetings, along with smaller events, give us a stunning opportunity to share the gospel boldly and allow the people of Vanuatu to experience the power of the Holy Spirit for themselves. Thirty years of serving and loving the people of Vanuatu have given us the local trust to freely run these events with not only the permission of local authorities, but their strong support. With the cross-denominational involvement of local churches, this ministry has exceeded our boldest expectations. Naturally, such efforts require tremendous resources and manpower to coordinate and facilitate. Will you join with us? Your prayers are vital and pave the way for these powerful events — or, if you’d like to contribute financially, donate below! Since 2016, our Christmas Carols By Candlelight events have been incredible occasions, with around 18,000 people attending on one night. 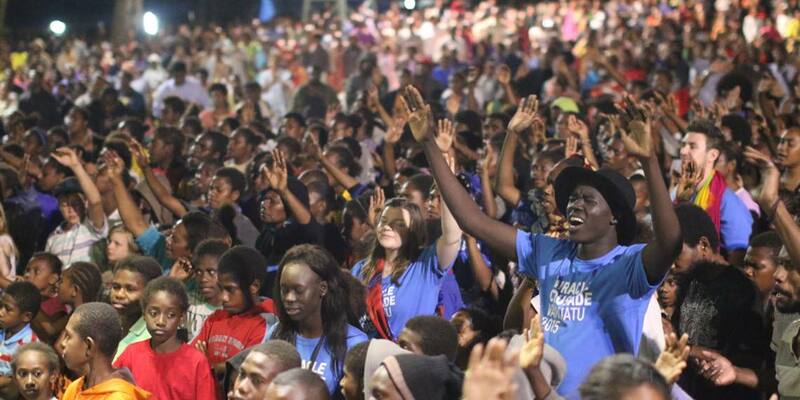 Vanuatu has never before experienced crowds like these, gathered to worship and celebrate the coming of Jesus the Creator into their world and human experience! Our first visit to Vanuatu followed closely after Cyclone Uma, the most devastating cyclone Vanuatu had experienced in recent history. Steve, our founder, was suddenly and unexpectedly invited to go and preach at a series of meetings in Tanna Island. At the time, church meeting places (including out under the trees and stars) were crowded with people responsive to God in their time of trouble. 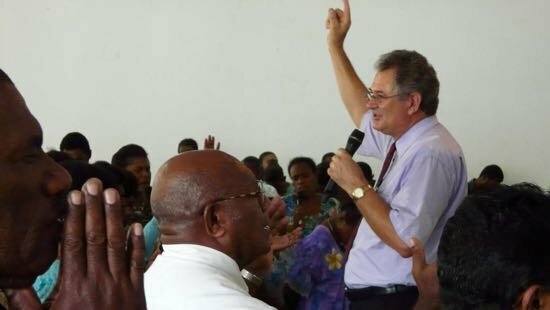 Steve returned back to Australia with an apostolic call to evangelise and minister in churches across the islands of Vanuatu, and to help the people of Tanna Island. Ever since, we have visited Vanuatu regularly, to continue being Jesus’ hands, feet and mouthpiece in this Pacific island nation. The Northgate Community Development Project in remote North Tanna, established in the early 1990s, was the focus of much of our attention for many years. The work included a school with 130 students (Preschool-to-Year-9), student boarders, a community clinic, a variety of agricultural projects, a large herd of cattle, and Christian outreach. The two separate NorthGate properties we leased from the local landowners were located in the bay and a short walk inland. We built many sturdy cyclone-resistant buildings on the two properties, with the help of regular teams from Australia. For 15 years, NorthGate was a place we took hundreds of people to. Men, women and children assisted the work and the wider community by using their personal skills, talents and spiritual gifts, and for an overseas missional experience. We also continued visiting other islands to preach and teach in village churches, and to assist with their outreach endeavours. 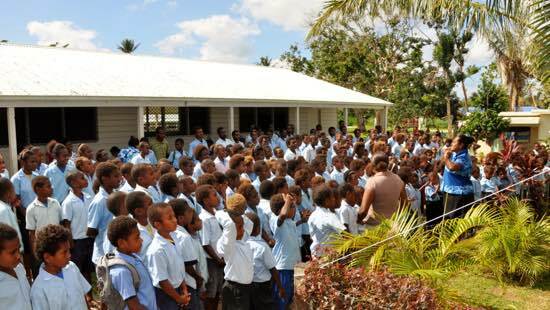 In 2005, we responded to Vanuatu’s dire need for more education providers in remote and poor areas, by establishing Community Christian Schools Vanuatu (CCSV) as a registered Charity with Education Authority status in Vanuatu. Under the banner, we established or took on the oversight of schools that were floundering in the islands of Tanna and Efate. There followed several years of overseeing and financially supporting the network of schools, and building new classrooms and other facilities (again, with the help of Australian teams). Most of the schools have since been handed back to their communities, and currently our main education focus in Vanuatu is on LifeChanger Christian College, our Preschool to Year 12 school on the outskirts of Port Vila.